Dr. Craig J. Davis, 57, of Manlius, died at University Hospital April 7, 2007, after a valiant battle with thyroid and lung cancer. He was born in Danville, PA, son of the late Craig L. and Dorothy H. Davis. He graduated from Bloomsburg Area High School in Bloomsburg, PA. Dr. Davis was an A.A.S. graduate of Forest Technology (1978) at Williamsport Community College, PA. He earned a B.S. in forest engineering (1982) at the University of Maine. He completed his M.S.F. (1984) and Ph.D. (1987) degrees in forest economics and operations at Purdue University. Dr. Davis began his career in 1978 with Union Camp Corporation as a supervisor in their kiln and mill operations in Meldrim, GA. He worked as an independent logging contractor in PA and held other research, support and teaching positions while earning his college degrees. He was on the Department of Forest and Natural Resources Management at the SUNY College of Environmental Science since 1987. He achieved the rank of full professor and taught courses in forest management. He served as coordinator of undergraduate programs in the Department of Forest and Natural Resources Management since 2001. 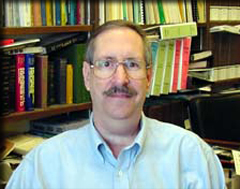 He received several awards of excellence in teaching. Surviving are a brother, Garrett E. Davis of Bloomsburg, PA; a sister and brother-in-law, Jocelyn D. and Dennis R. Levan of Middleburg, PA; a nephew, Michael A. Levan, also of Middleburg; and a niece, Sarah L. Levan of Northumberland, PA. Contributions may be made to the Craig J. Davis Scholarship Fund, E.S.F. College Foundation Inc. 214 Bray Hall, Syracuse, NY 13210. Published in the Syracuse Post Standard on 4/15/2007.